After a nearly 9 year hiatus, Gilmore Girls was once again on televisions screens everywhere this weekend thanks to Netflix. 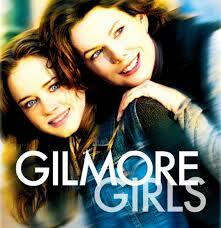 For those who aren’t familiar with the show, it is a multigenerational comedy-drama about family and friendship that centres around Lorelai Gilmore and her daughter, Rory (shown in the cover picture). While I have not seen the entire original series, I had seen enough to watch the 4-episode reboot with my wife and sister-in-law in a 6-hour binge session. I’ll save my thoughts on the show for other forums, however I walked away with 3 generational insights that I think they got right. If you have not yet seen the episodes but plan to, STOP READING HERE! Spoilers ahead! One of the biggest challenges in discussing generation research is the desire to apply findings across the entire population. Additionally, it is difficult to shift perceptions even if new information becomes available. As the Guardian highlights in “Millennials at work: five stereotypes – and why they are (mostly) wrong“, we need to stop relying on generations to set our expectations and rather use them as guidelines. I’ve always thought Gilmore Girls did a great job showing the diversity within the Gen-Y bracket, but it is very clear in the new series. Rory is the shining example of the stereotypical Gen-Y: well educated and intelligent youth who tried pursuing her passion only to have her efforts fall short. She returns home to live with her mother and takes a low paying, low excitement job that is at least in her field. Pew Research found over 30% of those aged 18-34 live with their parents, often due to weak job opportunities. Other stereotypical Gen-Y behaviour can be seen in Logan, who takes a “the world owes me” mentality and puts his own needs before all else. However, we also see Gen-Y’s who are married with kids and successful entrepreneurs. In fact, the majority of this generation are shown as successful young adults who are actively contributing to society. It’s refreshing to see a show that sees this generation for who they are now versus the stereotypes. As leaders, it’s important to not allow our perceptions and assumptions guide us. Sure, some of our Gen-Y colleagues might be entitled or lazy but so are some Boomers. Similarly, some Boomers may not know how to add an email account to their phone while others are running technology firms. Look beyond the label and you may find that the challenge you are facing has nothing to do with the generation but rather their personality! One character that was greatly missed by both the characters and viewers of the show is Richard Gilmore. The patriarch of the family was played by actor Edward Herrmann, who sadly lost a battle to brain cancer in 2014. In the show, Emily (his wife) has to cope with the grief and learn how to live on her own again. We see her learning how to develop her kind, nurturing side that was always provided by Richard. She explores her wants and values, resulting in her leaving upper-class society for a fresh lifestyle that would have been deemed as “beneath her” in earlier years. Emily represents one of the two key life stages many Boomers are experiencing: career change or retirement and the start of friends and family passing away. Both of these can result in personality changes and leaders (as well as family members) need to be aware of the potential impact. Long standing employees may discover they no longer align with organizational values and leave. Interests and hobbies may change. As Lorelai discovers, it can also lead to grudges being brought to the surface but can also strengthen bonds if managed correctly. It also highlights a key point: Boomers have a wealth of experience and they are willing to share with those who treat them with respect. Lorelai and Luke together represent the challenges facing Gen-X’s, both personally and professionally. On the personal front, they struggle with whether to get married and, once they do, they end up in a position where they are considering divorce. This perfectly represents how Gen-X’s are a blend of the Boomer and Gen-Y mentalities. Much like Gen-Y’s, Gen-X is shying away from traditional marriage. Bloomberg notes that wedding rates are half as common as they were in the 1970s and early 1980s, with many choosing to simply live together. However, divorce rates continue to climb for Boomers and, while it’s still in early days, it is anticipated that Gen-X will have a similar divorce rate. It is hard to predict for Millennials but research suggests they will have a much lower rate. On the professional front, both have businesses which negatively impact their work-life balance. Of course this impacts their relationship, but also adds huge amounts of stress. This is particularly true for Lorelai as she needs to expand to attract and keep talent while lacking the funds to do so. While this speaks less to her generation and more to the pressure that comes from being a small business owner, her displeasure in not having full autonomy and poor work-life balance is very representative of the Gen-X and Gen-Y mentality towards work. The generations in Gilmore Girls definitely show some stereotypes. Silent Generation and Boomers are highly traditional, believe elders should be respected, and the title you hold defines you. Gen-Xs are independent and push against tradition. Gen-Ys work hard but always expect to be given more and do not handle failure well. However, similar to my article “Reflections on generations: Are we really different?“, the show demonstrates how the generations are more similar than they are different. Through the series, every generation struggles to find work-life balance. Richard gets caught up in each business, straining his relationship with Emily to the point of near divorce. Lorelai constantly struggles to balance the workload from the Inn against being there for Rory. Rory is frequently apologizing to her friends for not being around. Similarly, each one has to battle with pursuing their passion versus paying the bills. It takes several ventures before Richard finds a position that he is truly passionate about. Lorelai gets the Dragonfly but only after many years of working for others. She also has to swallow her pride to ask her parents for financial assistance. Rory has several setbacks before getting into her dream field of journalism…or at least what she thinks is her passion. The show ends with her finally being excited and eager about her new opportunity as an author. The moment that brings this to the forefront is the final scene where Rory shares that she is pregnant. Much like her mother, Rory is about to become a single mom with limited employment opportunities (beyond her writing her book). There are a couple key differences, such as Rory being highly educated and the very positive relationship she has with her mother, but at it’s core the big difference is age. Lorelai went through this at 17 while Rory is facing it at 32. Fun fact: the writer of the show was fired before the original series ended but this is the ending she wanted. If it had happened in the original series, Rory would have been 23. In the end, everything comes full circle!